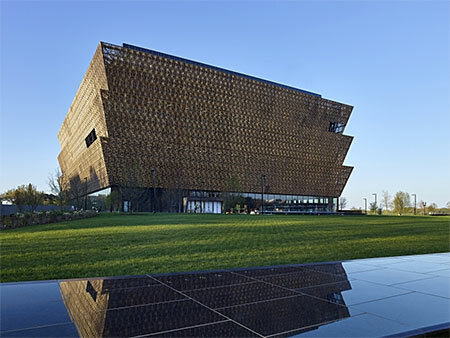 The Smithsonian’s National Museum of African American History and Culture opened on the National Mall Sept. 24, but the effort to build the museum began more than 100 years ago. This exhibit explores the journey toward fulfillment of this long-held dream, providing an overview of the century-long struggle that began in 1915 and its culminating achievements. Opening the museum has involved the efforts of presidents and members of Congress, curators and architects, art collectors and army veterans, celebrities and ordinary citizens. Visitors will learn the inspiration behind the museum’s architectural building design and the significance of the museum’s unique location on the National Mall, at the center of Washington’s historic core.